Lately I've had the weirdest rash of PC problems. 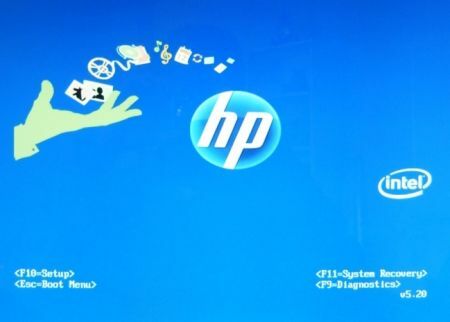 I'll spare you the gory details, but today's was the worst: my media-center PC locked up hard, and when I rebooted, it wouldn't get past the blue HP startup screen (a.k.a. the splash screen). What a great way to ruin a Sunday! Then I remembered a troubleshooting step I'd learned years earlier. I unplugged every USB device (which in this case was just two peripherals), then powered up the system. Presto: it booted right up. Then I reconnected the USB stuff and was back in business. Your mileage may vary; there's no guarantee this fix will work for everyone. But it's a good place to start if you find yourself stuck at the splash screen and can't figure out what to do next.